A Facebook group proclaiming 19-year-old Boston Marathon bombing suspect Dzhokhar (Jahar) Tsarnaev to be innocent now has more than 17,000 members - and it has been growing by the day. "ACTIONS FOR JUSTICE," which claims more than 200,000 members and is running the Facebook group, says it "is receiving evidence from witnesses that were present at the Boston Marathon which is contradicting the version in a complaint that was filed in Federal Court." "We truly believe he has been set up and that there is not enough evidence to incriminate him," the group says. The Facebook group, which had 12,000 members on Tuesday, is just one place where supporters are proclaiming that Tsarnaev is being framed. On Twitter, the #freejahar hashtag is being used to rally support, while another Facebook group asserting Tsarnaev's innocence has nearly 4,000 "likes." A YouTube video with more than 111,000 views claims to prove that Tsarnaev was framed using Photoshop; one photograph purporting to prove Tsarnaev's innocence has been retweeted nearly 500 times. There are also claims that video shows the suspect's ostensibly deceased older brother, Tamerlan Tsarnaev, being detained by police, and that the iconic photograph of wheelchair-bound Jeff Bauman was actually a soldier named Nick Vogt who was effectively acting as part of the conspiracy. One supporter suggested that Tsarnaev, who officials say has confessed his culpability in the attacks, is guilty but should go free anyway. "He should be freed because he's a 19 year old boy brainwashed by his brother & has a future ahead of him & doesn't deserve to die #freejahar." The Twitter conversation drew in journalist Anderson Cooper on Wednesday, after one of the leading "Free Jahar" figures tweeted, "Anderson Cooper is now on our side Word #FreeJahar." Responded Cooper: "leave me out of your pathetic twitter conspiracy." 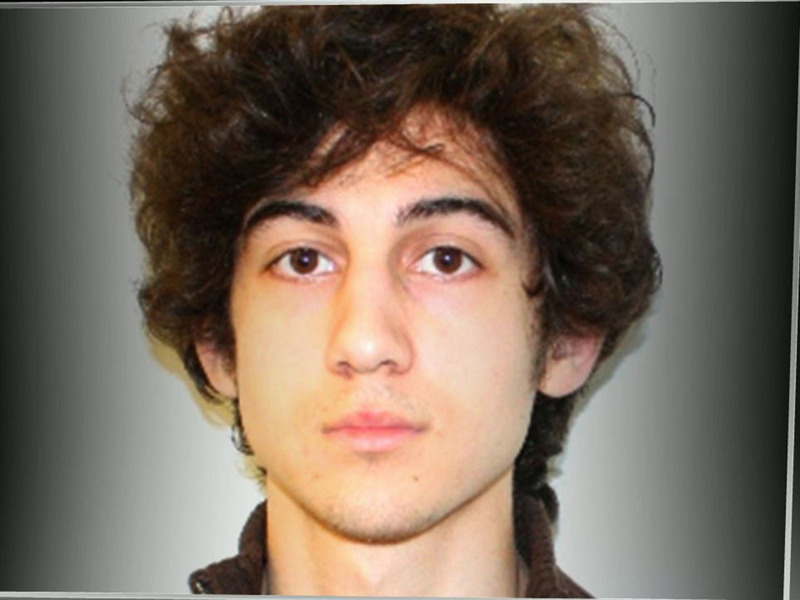 Tsarnaev's supporters have been buoyed by revelations that the authorities' initial accounts of his capture were inaccurate. The suspects' mother, meanwhile, is claiming that police arrested her elder son alive and suggesting the attacks were staged, with paint playing the part of blood in the streets. "they've ignored us, laughed at us & fought with us," reads one tweet from a "Free Jahar" account, "but we will win."